The coat is all that a man needs to complete his wardrobe and what if that coat is the one which has been inspired from a very famous Hollywood movie “Guardians of the Galaxy”? It would be great, would not it be? The coat is quite striking one and can make you stand out in the crowd easily.The flow of the shiny leather along with the comfortableness of the inner lining only adds to the value of this coat. This whole piece has been designed by our highly qualified crafter who has made sure that it is the reflection of perfection. If you want people to turn back their heads and want to leap amongst your friend in being the trendiest guy then this costume coat is the best thing for you to do that. Get it now and live your life like a Guardian! 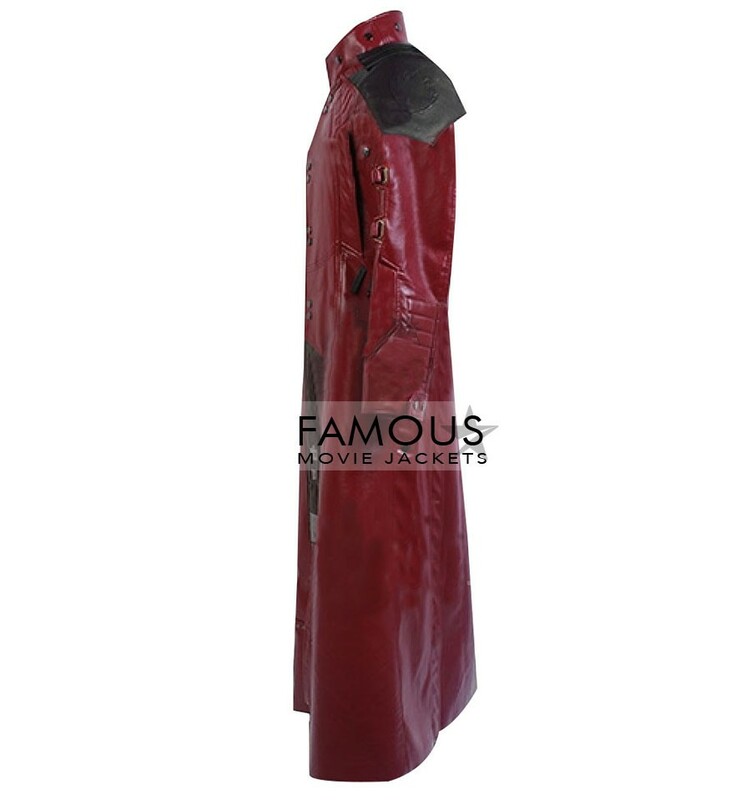 This Guardians Of The Galaxy Coat is very well made. Perfect Fitting, the color & design is made me mind stunning, very good quality. its little bit expensive but the investment is not wrong. 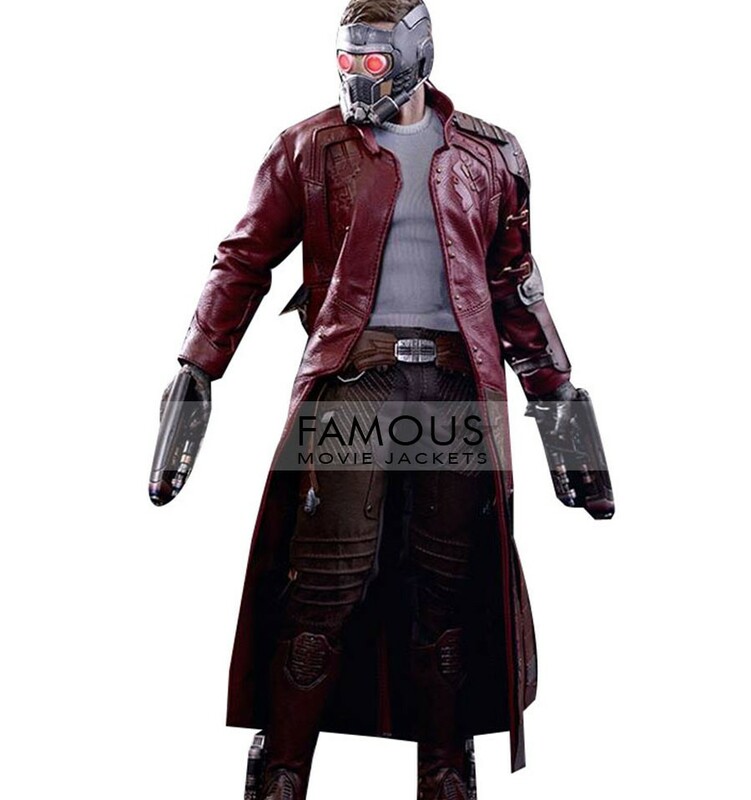 This Star-Lord Coat wearing by Chris Pratt is just great its perfect one i ever purchase in online shopping store. the material is good but the design is just perfect i refer others to purchase it from here. now i am a long time costumer of this site. 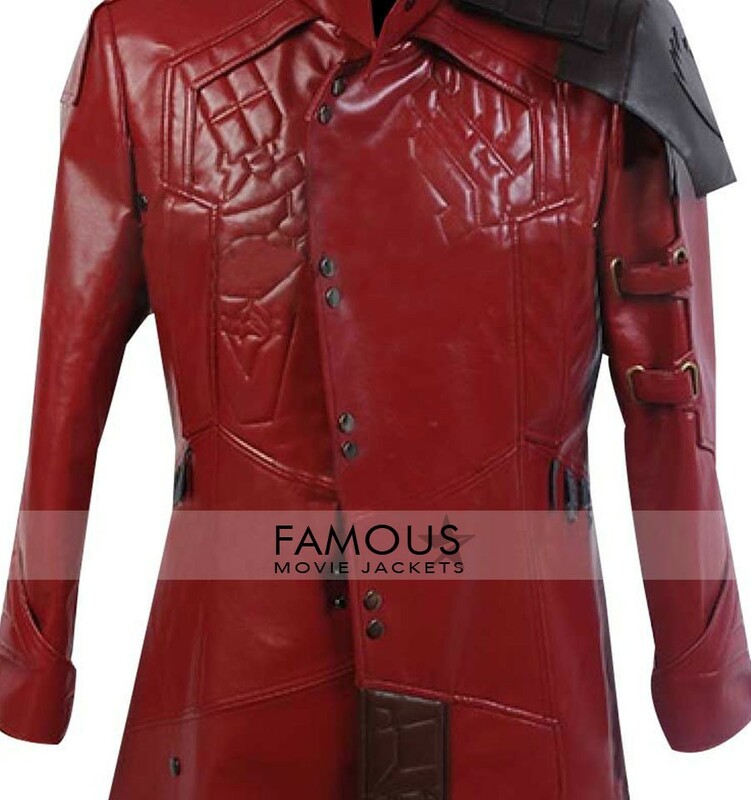 perfect material that is used in this guardians of the galaxy costume i refer all of you who visit this site in future this is perfect not only because i purchase but also i satisfy from my delivery thanks to you guys! This outfit itself is described and fits as well, i order X-Large size its always the perfect size for me. when i received it i got much better outfits then my expectation. Detail pattern used in this Guardians Coat, my order was deliver yesterday and check it properly after that i just say thanks to give me such great outfit. now i am big fan of you…. I have had this Guardians coat for almost two months now and I really cannot see any fault in it. Great stitching, stitched to match my size and what better of a quality of a leather than this. In short, it is just superb. Chris Pratt always wear something really classy and decent, brought from here this guardians coat or Jurassic world vest both arrives 2 days ago and both are really qualitative and fine quality stitching. thanks to being praised. This jacket is super cool I appreciate the style and fitting and there is no doubt about the quality and stitching. I can see how much efforts you guys have put in for this. when my order delivered to me, i want more dark maroon color, that’s why i exchange it with new one and now the color is dark according to my desire, it is very thank full to you guys to help me to get the desire one. You guys have done a great job by designing this cool thing I am so in love with its charm it looks fantastic on me and suits me a lot. Got good quality material and fine coloring. when i ordered guardians coat within 2 hours i replied about more accurate sizing for more perfect fitting and length because my order in custom size they guide me properly for measurement when my item received i measure it it’s according to the size i ordered length and fitting all good. my son love this coat he has good height and smart body that’s why when i given to him and he wears it looking great when i was young i wear vintage jacket and do smart look fashion that’s why now i purchasing smart outfit to my son as i do. 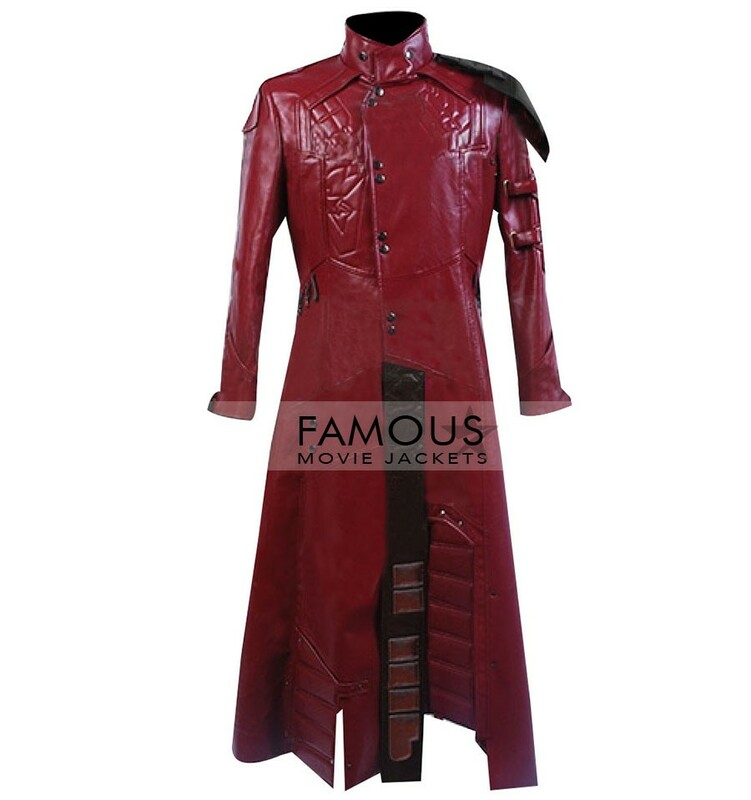 I was looking for a Star Lord coat replica made from real leather and this one seemed like a good choice. The package arrived quite quickly (about 10 days) and was well packed. Highly Recommended it to all. 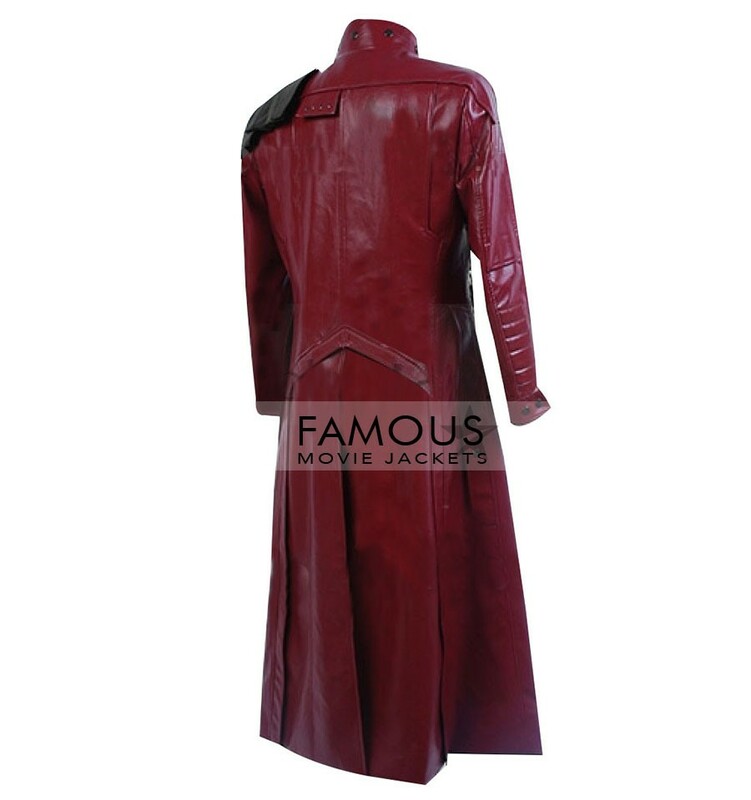 I got this Guardians Of The Galaxy Star-Lord Cosplay Costume Coat from this store and trust me this is so slick and very much sewed. I thought to make a request again in light of the fact that I cherish the quality, front part as well as affection the inward quality. Much obliged for the trustee administrations too.